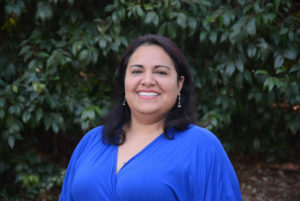 Alejandra Téllez is the program analyst for Sustainability Programs for the County of Ventura. Alejandra, manages the Local Government Partnership; Ventura County Regional Energy Alliance which is the County’s local energy efficiency clearinghouse office for training seminars, project identification, technical project support and energy planning for municipal governments, school and community college districts, special districts and small commercial businesses. In partnership with the counties of Santa Barbara and San Luis Obispo Alejandra oversees the residential programs which provide utility customers and contractors with a direct link to dozens of energy rebates, training workshops and customer programs. Also manages sustainability activities via building operations and program implementation in County of Ventura services.